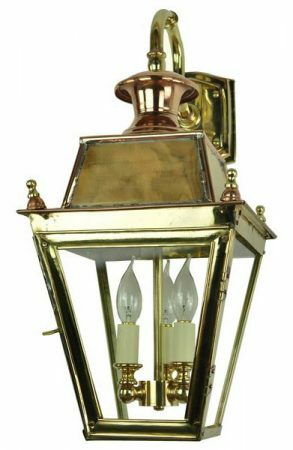 The Balmoral solid brass 3 light Victorian outdoor wall lantern, rated IP23 and suitable for exterior use. 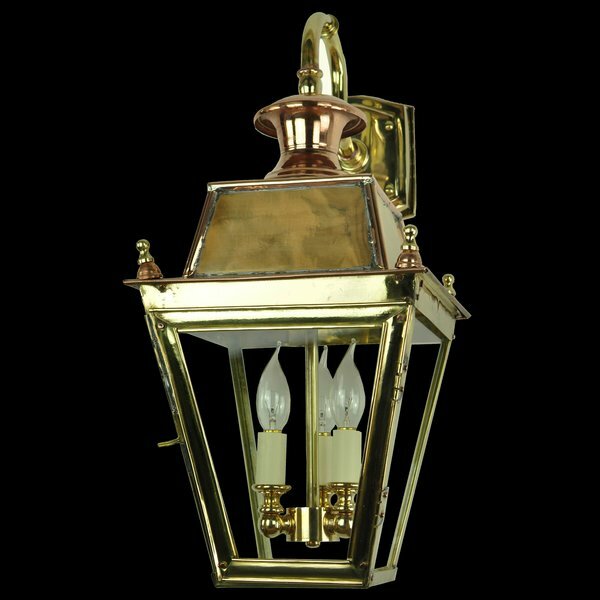 A replica Victorian outdoor wall lantern shown in polished unlacquered brass. 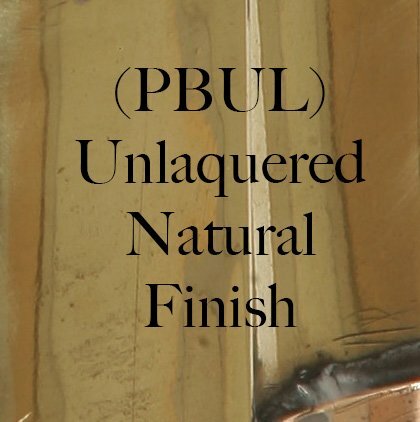 Imposing solid brass outdoor wall light, hand-made to the highest standards. 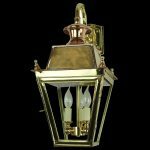 With shaped wall mount, a sweeping downward facing arm, clear glass lantern panels and solid pure copper detail to the lantern top. 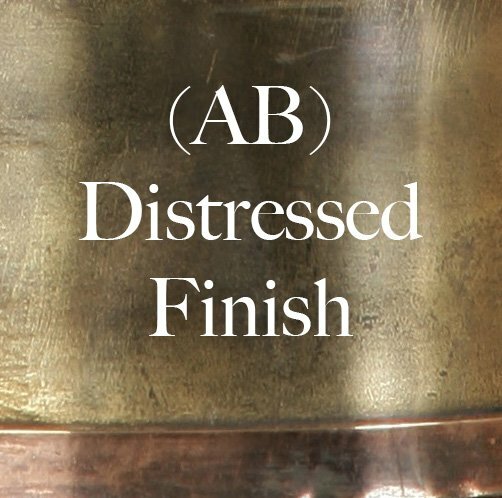 Fitted with three candelabra lamp holders suspended on a rod. 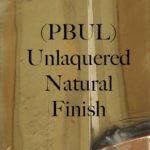 To achieve this appearance the raw brass on this outdoor light has been degreased and highly polished, then left unlaquered in it’s natural state. 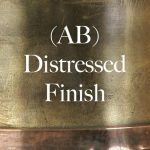 This finish will mellow in time and take on a weathered finish. 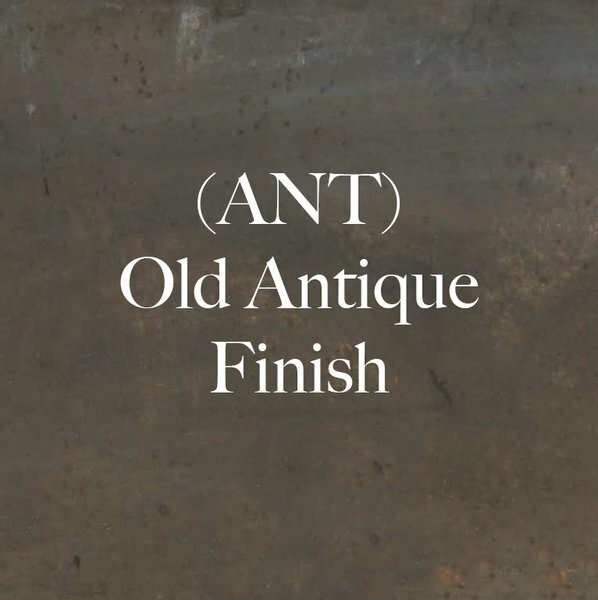 It can be polished to keep its original finish or left to age gracefully. 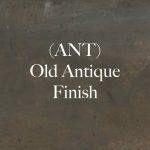 Also available in light or dark antique finishes.